Mocking the Sunnah – A Warning! It is unfortunate to say that i have come across some people, in recent years especially post 9/11 who see acting upon the sunnah with a demeaning eye. moreover they (these particular) number of people begin to use sarcasm to display a negitive attitude towards those who are propagating the need to follow the sunnah, in its totally. There are a number of so called ‘forward thinking’ individuals/islamic forums who seem to have taken it on themselves to mock those who try and remind people of the need to follow the sunnah. One islamic forum, namely deenport is such a place. I find it unbearable at times to even read some of the posts and threads there. When even a person with sincere intention intends or does post a thread relating to the sunnah. Almost simultaneously, derogatory remarks and posts are made. For example on the issue of sunnah length of beards. There are a number of instances where replies such as “Bediuzzaman Said Nursi (rahimahullah) didn’t even have a beard (according to the artist impressions of him). Yes, he was a Shafi’i in fiqh, but still….” used as a reference to satisfy the need of not to follow the sunnah. The prophet (sallahu’alihi’wa’salam) warned us against this act(s) and actions whether they are muslims or non muslims. One of the groups of people who will not have the intersession of the prophet (sallahu’alihi’walsam)on the day of judgement are such people – the people who make fun of the sunnah or display a negative attitude towards those who are propagating the need to follow the sunnah, in its totally. Below is an example of how the companions used to love and follow the sunnah. Whatever the situation or wherever they were. 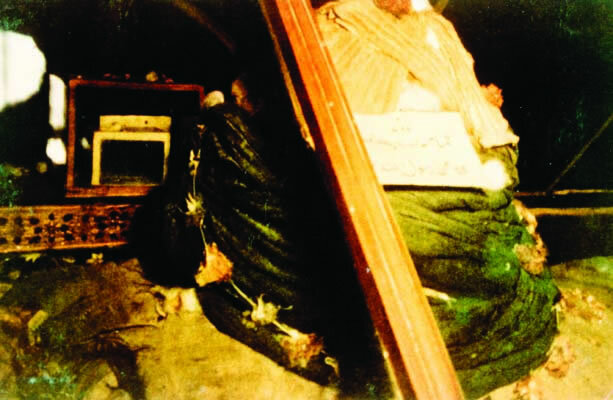 (The turban of the Prophet (sallahu’alihi’wa’salam)). If we do not like the views of someone who is the advocator of the sunnah, – the beloveds way. Then one should be silent and not criticise people who are doing a great effort of dheen. This is what the kuffar do, when we as muslims have such attitudes then what is the difference between us and them. There are a number of instances where ignorant statements such as “this is the actions of the beared people…” etc. These are very dangerous statements, as accusations such as these lead to the prophet (sallahu’alihi’wa’salam). Simply because the beard is his sunnah, which was one of his beloved sunnah!